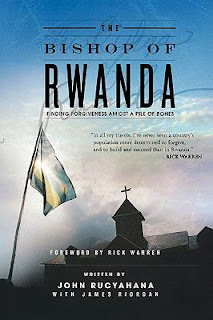 In 1994, the tiny African nation of Rwanda experienced one of the great tragedies of the 20th century. As the world watched on, doing little, over a million Rwandans were brutally murdered in an attempt at ethnic cleansing. Bishop John Rucyahana tells the story of what caused the genocide, the tragic events and Rwanda's ongoing recovery. Even though he had some of his own family killed, today he works for reconciliation of the people of Rwanda, even those who killed. This is a shocking and disturbing book. Given the immense depravity of the genocide it could not be any other way. It may be a story of tragedy but it is also a story of great hope. Amazing examples of forgiveness, hope and faith have been shown by the people of Rwanda since the genocide.